Jack Daniel’s owner Brown-Forman is to purchase The Benriach Distillery Company for £285 million, in a deal that will give the American group its first Scotch whiskies. The deal will give Brown-Forman control of the GlenDronach, BenRiach and Glenglassaugh single malt distilleries, as well as a bottling plant in Broxburn and headquarters in Edinburgh. 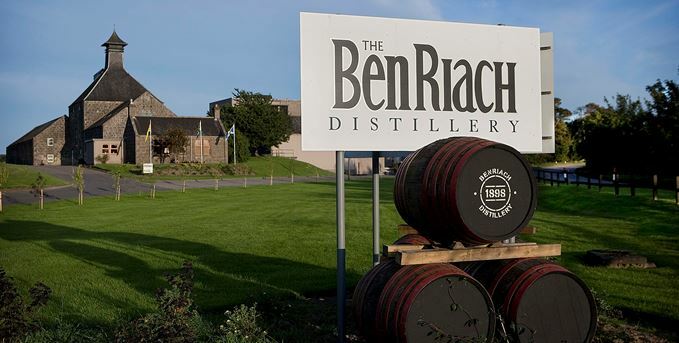 The BenRiach Distillery Company, which employs 165 employees, including 55 seasonal and casual workers, will operate as a subsidiary of Brown-Forman. Paul Varga, CEO for Brown-Forman, said: ‘The acquisition of these super-premium brands will allow Brown-Forman to re-enter one of our industry’s most exciting and consistent growth segments, single malt Scotch whisky. The deal is not the first time Brown-Forman has held a stake in Scotch whisky. Brown-Forman was a minority shareholder in Glenmorangie Company, marketing the namesake single malt brand in the US and Canada, and in Europe and Asia. It sold its stake to LVMH Moët Hennessy when the French group bought Glenmorangie in 2005. The US group, which also owns the Woodford Reserve distillery in Kentucky, sold its Tuaca and Southern Comfort brands to Sazerac in March this year for $542.2m. Its interest in whisky outside the US has been growing steadily over the last few months. Late last year it also bought Slane Castle for $50m. The new releases include a dozen single cask BenRiachs, ranging from 16 to 40 years old.